Joanna studied graphic design at St Martin’s School of Art and Goldsmiths. Her animated film Make Up was accepted for competition at Annecy Film Festival and won Movie Maker Best Amateur film for 1973. She joined TVC as assistant animator to George Dunning, director of Yellow Submarine. Joanna graduated to principal staff animator and worked on numerous films and commercials. 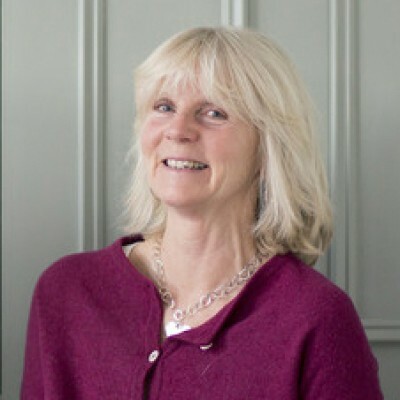 In 1982 she storyboarded, animated and also worked as a background artist on The Snowman, which won a BAFTA award and was nominated for an Oscar. Joanna also writes and illustrates award winning children’s picture books that have been published worldwide. These include Grizzly Dad , published by David Fickling, which was nominated for The Book Trust Awards and won a Parents’ Choice Award in America and When Mum Turned into a Monster published by Harper Collins. Joanna was Art Director of The Snowman and the Snowdog as well as having written and developed the treatment for Channel 4 with Hilary Audus. In 2016 she co-directed and wrote the script for the animated adaption of the classic children’s book We’re Going on a Bear Hunt commission by Channel 4 and enjoyed by over 8 million viewers at launch.